Prepared meals and meals in kit form, namely, appetizers, main courses, entrees, side dishes, soups, stews, and pasta dishes; salads, namely prepared salads or salads in kit form; desserts, namely, mousses. 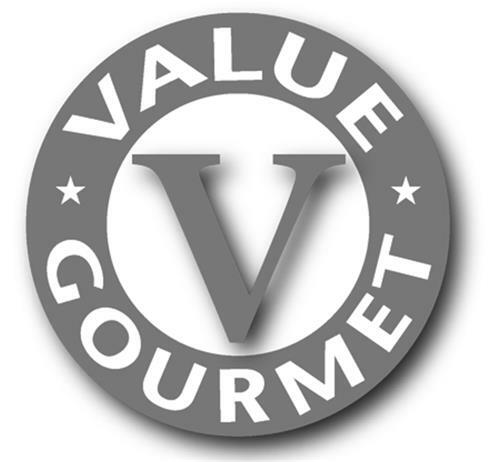 On Thursday, December 4, 2008, a canadian trademark registration was filed for the above pictured logo by Tiffany Gate Foods Inc. 195 Steinway Boulevard, Toronto, ONTARIO, CANADA M9W6H6. The Canadian IP office has given the trademark application number of 1420757. The current status of this trademark filing is Interruption of proceeding. The correspondent listed for is BERESKIN & PARR LLP/S.E.N.C.R. of SCOTIA PLAZA, 40 KING STREET WEST, 40th FLOOR, ONTARIO, CANADA M5H3Y2 The trademark is filed in the description of Prepared meals and meals in kit form, namely, appetizers, main courses, entrees, side dishes, soups, stews, and pasta dishes; salads, namely prepared salads or salads in kit form; desserts, namely, mousses. .
(1) - Prepared meals and meals in kit form, namely, appetizers, main courses, entrees, side dishes, soups, stews, and pasta dishes; salads, namely prepared salads or salads in kit form; desserts, namely, mousses.